LUCKNOW: While the mood is upbeat among the Congress workers in Lucknow over Priyanka Gandhi’s first mega roadshow in Lucknow, the BJP on Monday termed it as a ‘chor show’ (show of thieves). The extremely hard-hitting remarks from the BJP leader came even as hundreds of Congress workers waited for newly-appointed Congress party general secretary and in-charge of eastern Uttar Pradesh Priyanka Gandhi’s arrival in state capital Lucknow. 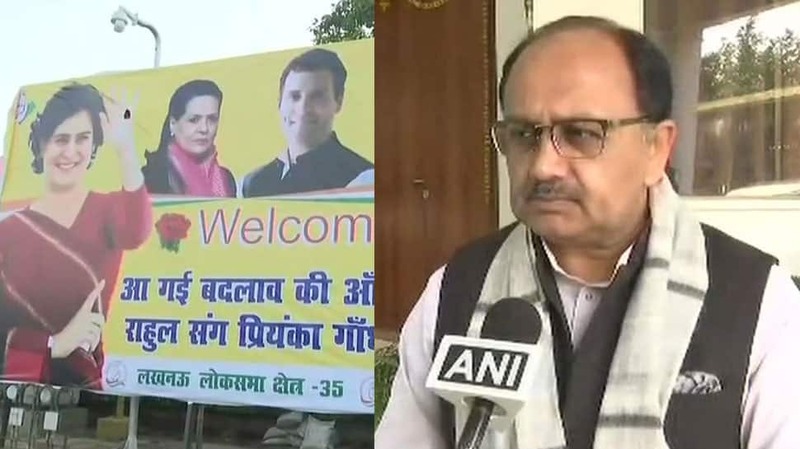 Congress workers, led by Uttar Pradesh Congress Committee (UPCC) chief Raj Babbar, have made elaborate arrangements to welcome their top leaders. According to reports, Rahul, Priyanka and Scindia will arrive at the Lucknow airport and then pass through the main areas of the state capital to reach the Nehru Bhawan office of the UPCC. Workers of Congress and its grassroots organisation Sewa Dal have been giving a final touch to the preparations since Sunday. UPCC chief Raj Babbar held a meeting of Congress workers on Saturday evening to review the preparations for the roadshow, which will also be attended by All India Mahila Congress chief Sushmita Dev and general secretary Anupama Rawat. Priyanka will meet leaders and office-bearers from 42 constituencies of Uttar Pradesh (East) during her visit till February 14.